#Microsoft365 – Even though the #MSOffice #Office365 Ribbon is pretty awesome if you ask me – it could ‘get in the way’ sometimes as it takes up a lot of space. See below how to hide the ribbon when necessary. Below you’ll see that the ribbon has a “Collapse the Ribbon” arrow in the right corner. When you press this the Ribbon will disappear. To make the ribbon appear again – you have to click on one of the tabs to expand it again. 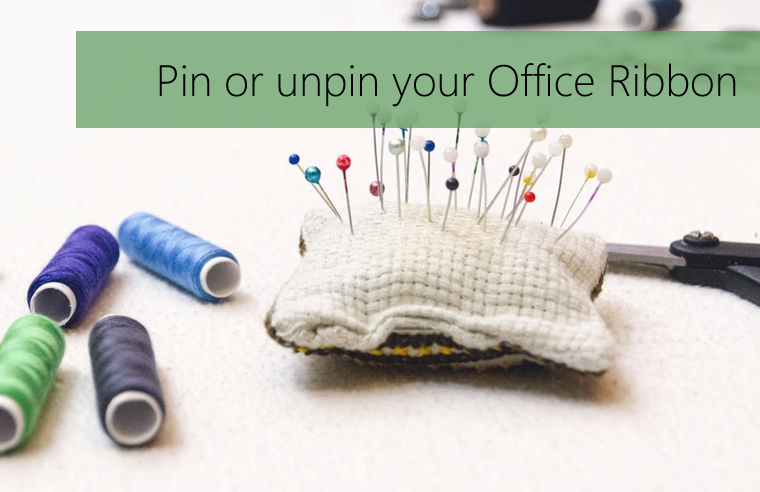 If you would like to keep the ribbon in place – simply click on the “Pin the Ribbon” icon on the right.